Federation clubs can feel proud of a wonderful Croquet event this weekend. Eight clubs contested Golf, Short, Handicap and Advanced Croquet over two days of tournaments involving 228 games in glorious sunny Southport (well, apart from the odd thunder storm). The South Lawns were resplendent, demonstrating the large investment in maintenance by the Southport Club. Even the notorious North Lawns played better than ever and gained praise. As always, the catering was ‘par excellence’, about 150 excellent lunches being served to an appreciative gathering. It is nice to be reminded occasionally how strong croquet in the north west really is and how it binds us together in pursuit of a sport we love – the camaraderie, obvious friendships and competitive rivalry makes this event an unforgettable experience. 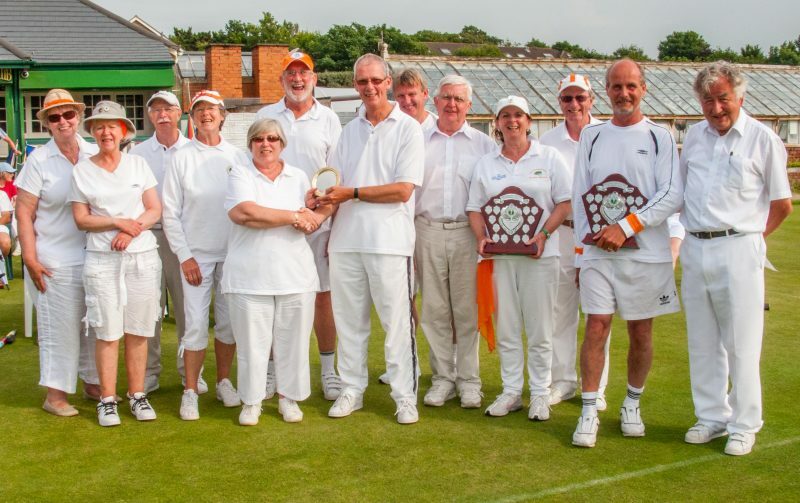 It is estimated nearly 200 people attended over the weekend and David Barratt, Federation Chairman, thanked everyone at the Southport club for the tremendous hard work involved in organising a club championship, unique in the croquet world which demonstrates the importance of why members matter. Alan Mayne and Barry Keen managed the tournament over the two days, ably assisted by Southport members Terry Foster (organisation), Carol Lewis (Advanced), Brian Lewis (Short), Keith Roberts (Handicap) and Don Williamson (Golf). The Advanced competition was a tie between Southport and Crake Valley, resulting in a nail biting ‘Peg hitting’ tie breaker in front of an enthusiastic crowd of about 80 people. David Barratt presented trophies to the event winners: Southport (Advanced); Fylde (Handicap); Bowdon (Short); Bowdon (Golf); concluding with the Federation Championship for 2009 being awarded to Bowdon. As people departed in excellent spirits, the talk was how can we surpass this event next year? We will – don’t miss it!